Here is a collection of Christian thank you quotes and sayings. There are many reasons to give thanks and show gratitude to one another, and many authors and thinkers throughout the years have found these reasons within the Scriptures. You can use these quotes in thank you cards, or post them on facebook. Are we missing a great Christian thank you quote? Add your favorite at the bottom of this page! "Just a "thank you" is a mighty powerful prayer. Says it all." "God gave you a gift of 86,400 seconds today. Have you used one to say "thank you?" "Even though we've changed and we're all finding our own place in the world, we all know that when the tears fall or the smile spreads across our face, we'll come to each other because no matter where this crazy world takes us, nothing will ever change so much to the point where we're not all still friends." "Strength, rest, guidance, grace, help, sympathy, love - all from God to us!! What a list of blessings!" "We would worry less if we praised more. Thanksgiving is the enemy of discontent and dissatisfaction." "Hem your blessings with thankfulness so they don't unravel." "Foolish talking and jesting are not the ways in which Christian cheerfulness should express itself, but rather "giving of thanks" (Eph. 5:4). Religion is the source of joy and gladness, but its joy is expressed in a religious way, in thanksgiving and praise." "I thank you God for this most amazing day, for the leaping greenly spirits of trees, and for the blue dream of sky and for everything which is natural, which is infinite, which is yes." "Friends are kisses blown to us by angels." "A simple grateful thought turned heavenwards is the most perfect prayer." "Man discovers his own wealth when God comes to ask gifts of him." "Thanksgiving is the language of heaven, and we had better start to learn it if we are not to be mere dumb aliens there." "It is easier to find a score of men wise enough to discover the truth than to find one intrepid enough, in the face of opposition, to stand up for it." "Forget yourself and live for others, for It is more blessed to give than to receive." "A sensible thanksgiving for mercies received is a mighty prayer in the Spirit of God. It prevails with Him unspeakably." "Often we want people to pray for us and help us, but we always defeat our object when we look too much to them and lean upon them. The true secret of union is for both to look upon God, and in the act of looking past themselves to Him they are unconsciously united." "A grateful heart is one that finds the countless blessings of God in the seemingly mundane everyday life." "The careless soul receives the Father's gifts as if it were a way things had of dropping into his hand... yet he is ever complaining, as if someone were accountable for the problems which meet him at every turn. For the good that comes to him, he gives no thanks - who is there to thank? At the disappointments that befall him he grumbles - there must be someone to blame!" Did you find what you were looking for? Share your favorite quote below! Whatâ€™s your favorite Christian thank you quote? 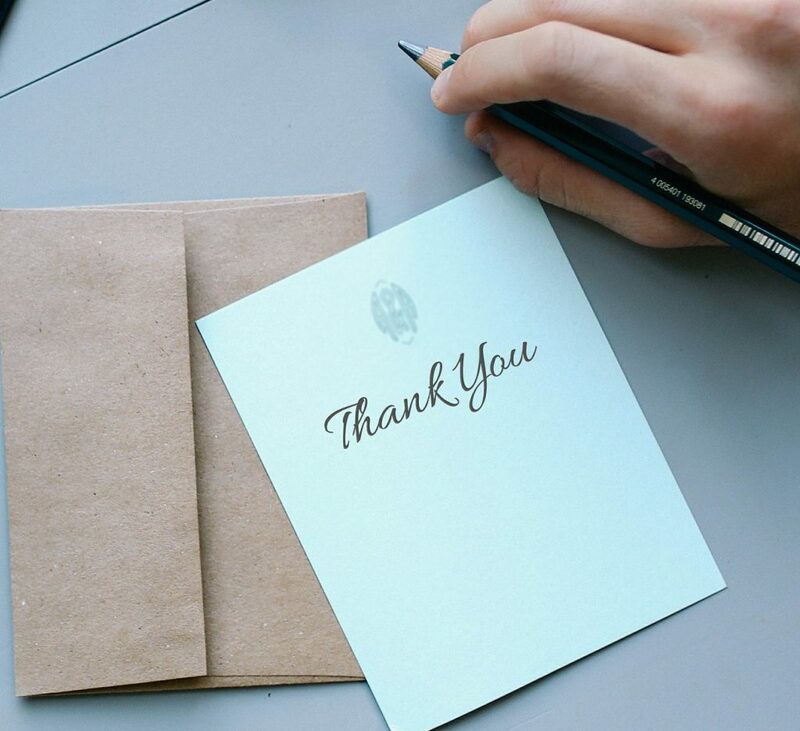 Find quotes for your thank you note. Find sample thank you notes for particular occasions.